This recipe can easily be done with chicken. In fact this recipe has been adapted from a Chicken Adobo recipe. I've made this a few times before but I am renewing this recipe. The difference between this recipe and my previous recipe is that I slow cooked the duck on a barbecue grill. 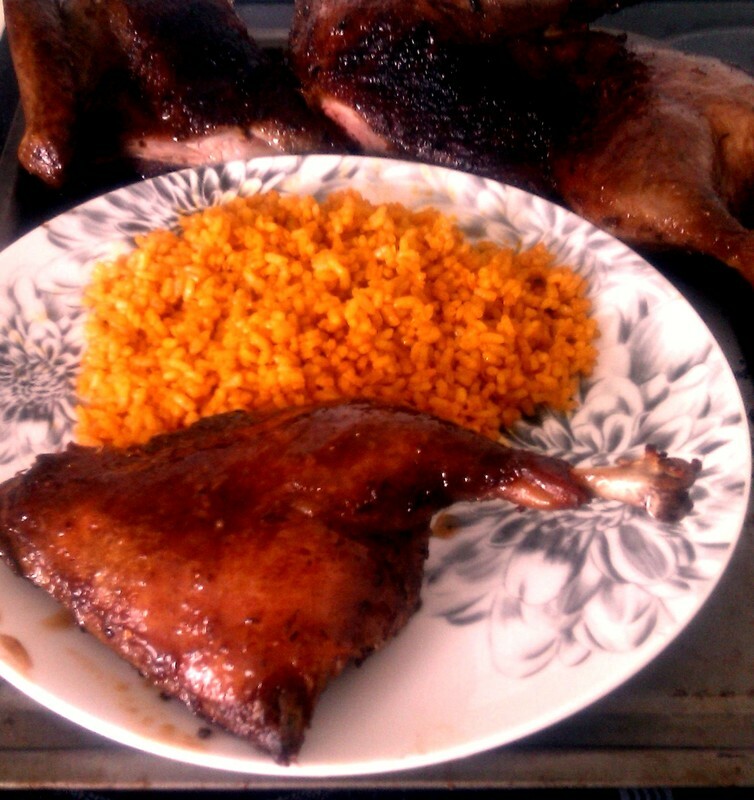 It really gave this duck the hypnotic smoky barbecue "adobo" flavor that made it even more tastier than before. 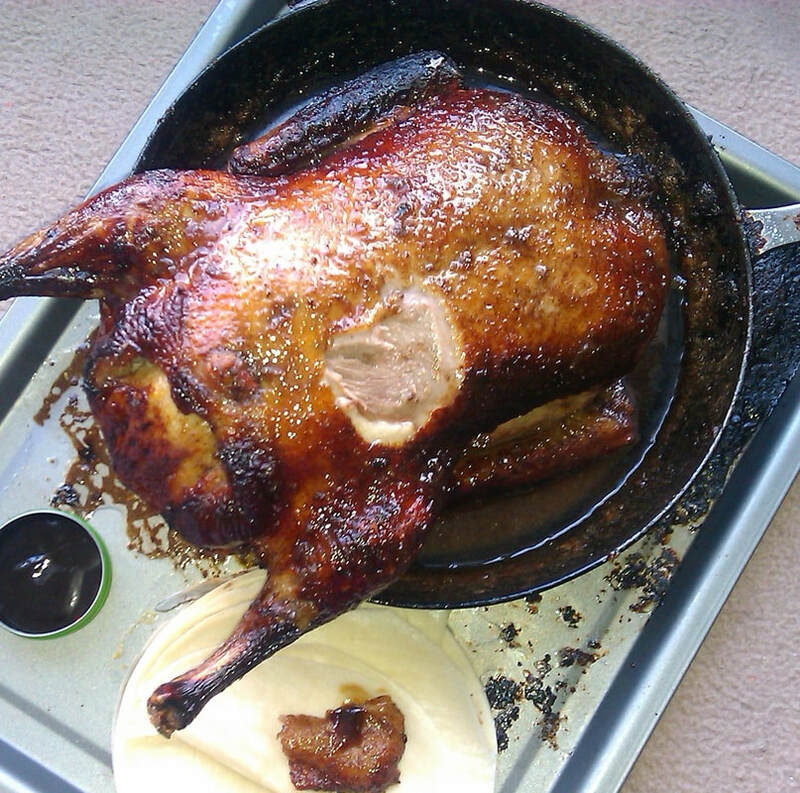 I love the charring on the duck, it enriches the duck with the barbecue taste and flavor. Like I said this recipe can easily be done with chicken instead. 1 tbs salt, 1 tsp black pepper, 1/2 tsp red wine vinegar, 2 tsp of Adobo paste...blitz or blend all of these ingredients together and marinate the duck for at least an hour. Reserve 2 tsp of marinade for sauce. 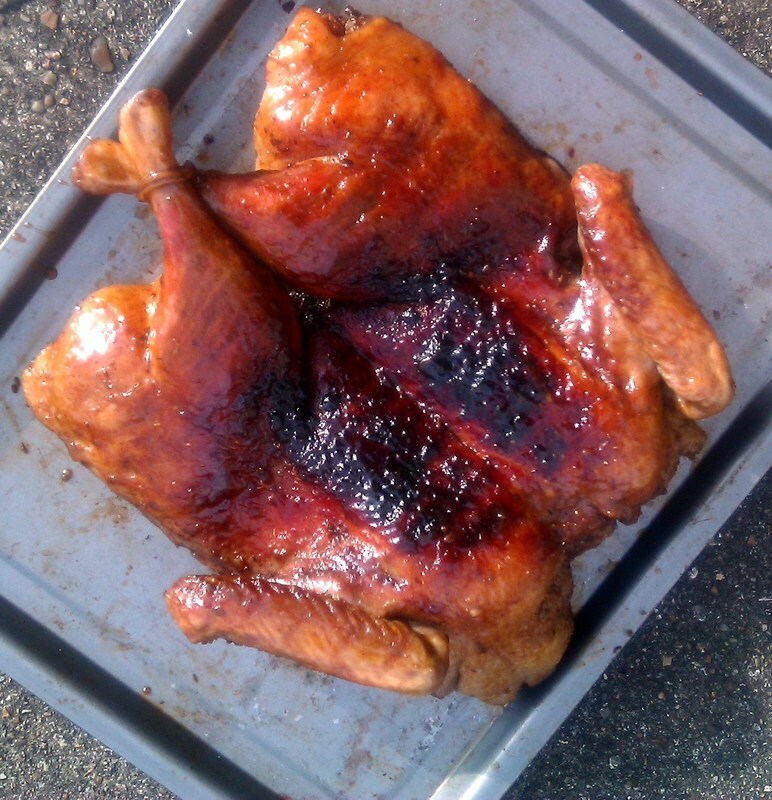 Grill and slow cook this duck on a charcoal grill for three hours or until cooked turning every 20 or so minutes. Leave it to rest for at least twenty minutes and check to see if it needs additional cooking. 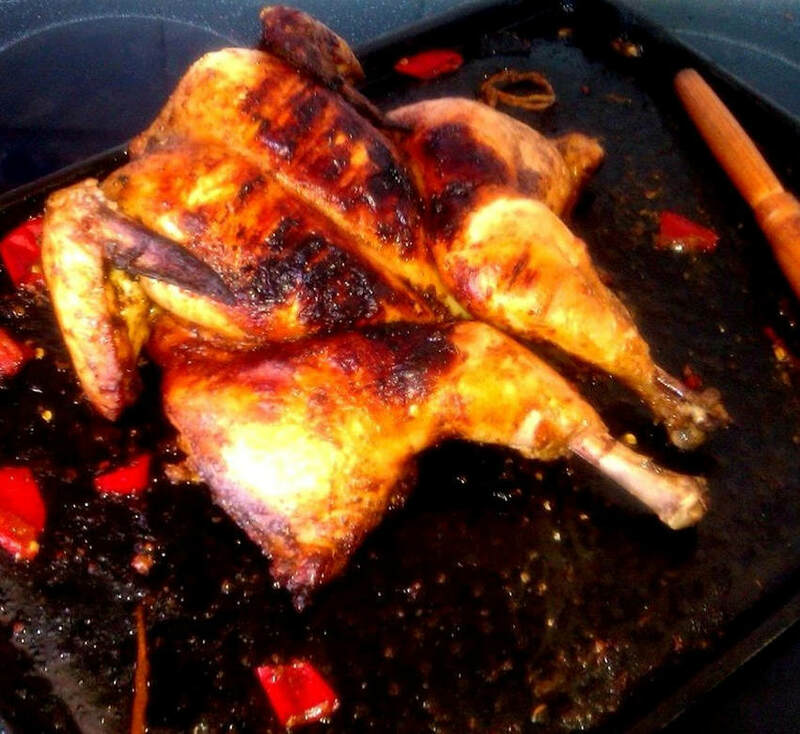 Barbecued food can looked cooked on the outside, but are not always cooked on the inside. If additional cooking is needed roast covered with foil in an oven for about twenty five minutes so the inside is cooked. Bring to a boil 1 cup of chicken or duck stock. Add the 2 tsp of reserved marinade ingredients and boil on high until the sauce thickens. If you have any reserves left over from the duck marinade add that in too for extra flavor. Taste for seasonings, add salt or pepper as you wish. To make the sauce richer and thicker add some more of the Adobo if you wish. 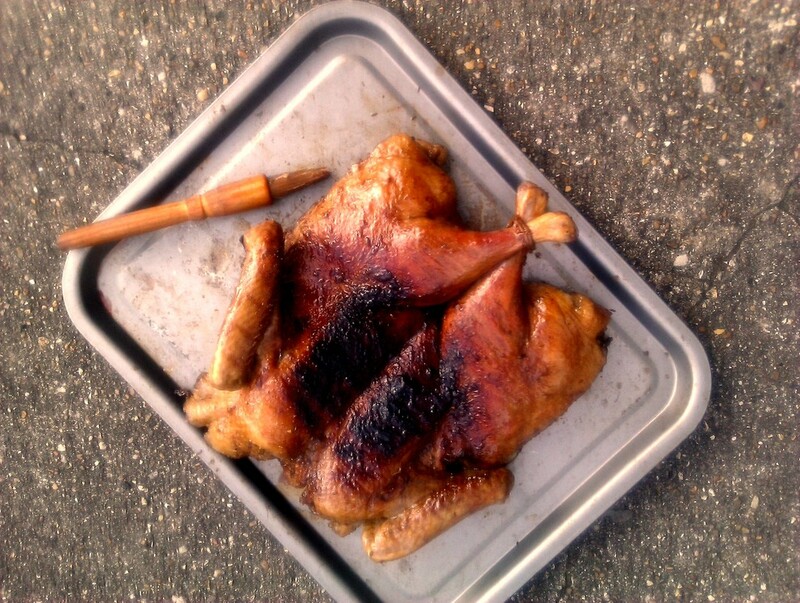 As the duck barbecues brush this sauce on the duck and serve sauce as a side. 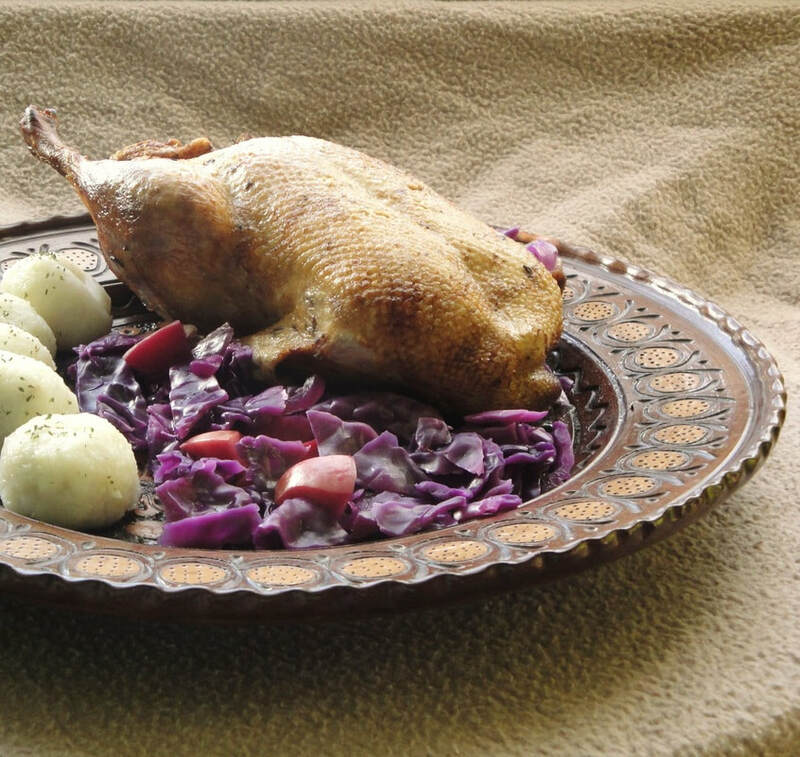 Serve this duck with yellow rice as a side dish. Recipe coming soon. Or alternatively serve with Tortillas, corn on the cob, sweet potatoes or re-fried or baked beans.